As the world continues to reel from Kellyanne Conway’s Bowling Green massacre comments, many have come up with creative ways to commemorate the non-event. Memorials and folk songs have been organized in response to the gaffe that trended across social media on Friday when Conway, President Donald Trump’s senior counselor, appeared to invent a terror attack in order to justify Trump’s executive order banning seven countries from traveling to the US. “I bet it’s brand new information to people that President Obama had a six-month ban on the Iraqi refugee program after two Iraqis came here to this country, were radicalized and they were the masterminds behind the Bowling Green massacre,” she told MSNBC. Conway was referring to two men from Bowling Green, Kentucky, who were arrested for sending money and weapons to Al-Qaeda in Iraq. While the two had previously fought as insurgents in Iraq and admitted to using improvised explosive devices (IEDs) against US soldiers, they did not carry out any terror attacks in the US. 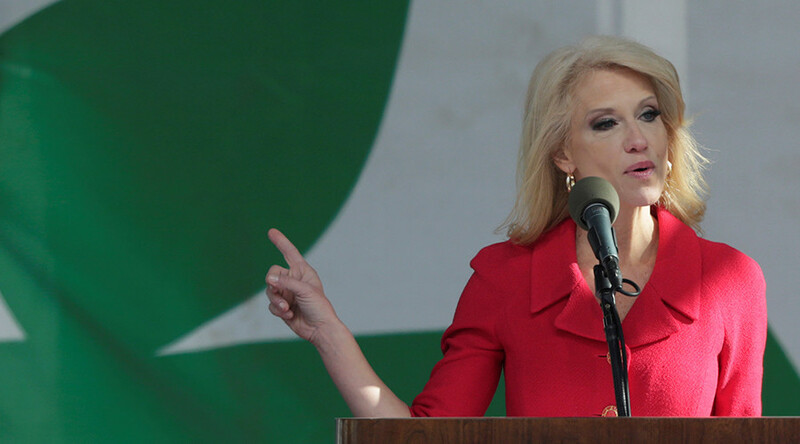 Although Conway appeared to address her error, calling it an “honest mistake,” a memorial to remember – or not remember – the victims of the imaginary massacre was held at the Bowling Green subway station in New York Friday night. Demonstrators called for people to “never remember, always forget” the events that did not transpire. Bowling Green Massacre - is that Trump and Bannon murdering the classic Everly Brothers tune on karaoke? A more contemporary folk song, ‘That Day In Bowling Green’ was written and released in the 24 hours following Conway’s comments.